Home De Haven, Tom It's Superman! 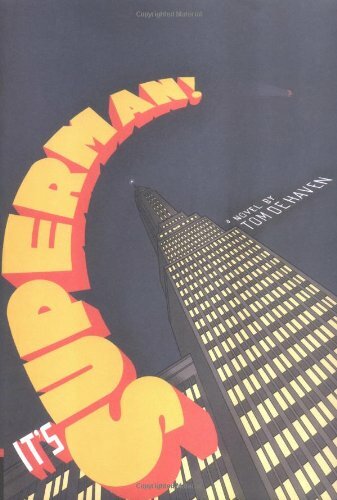 The world's most popular and enduring super hero and acclaimed novelist Tom De Haven come together to create the extraordinary <i>It's Superman!</i>a novel that reinvents the early years of the Man of Steel. Opening with the young Clark Kent on a date, the novel takes an entirely fresh approach to the emergence of his superpowers and the start of his newspaper career, following him from rural 1930s Kansas across america to Hollywood in its golden age, and then to New York City. He meets a worldly Lois Lane and conniving political boss Lex Luthor, and begins his battles against criminal masterminds, mad scientists, and supervillains inspired by fascists. Sure to appeal to fans of the TV show <i>Smallville</i> and the novel <i>The Amazing Adventures of Kavalier and Clay</i>, as well as devoted comic book readers, <i>It's Superman</i> is a fun and fast-paced novel of thrilling invention, heroic escapades, ill-fitting costumes, and super-sized coming-of-age angst.